Simple, Stylish, Sophisticated. 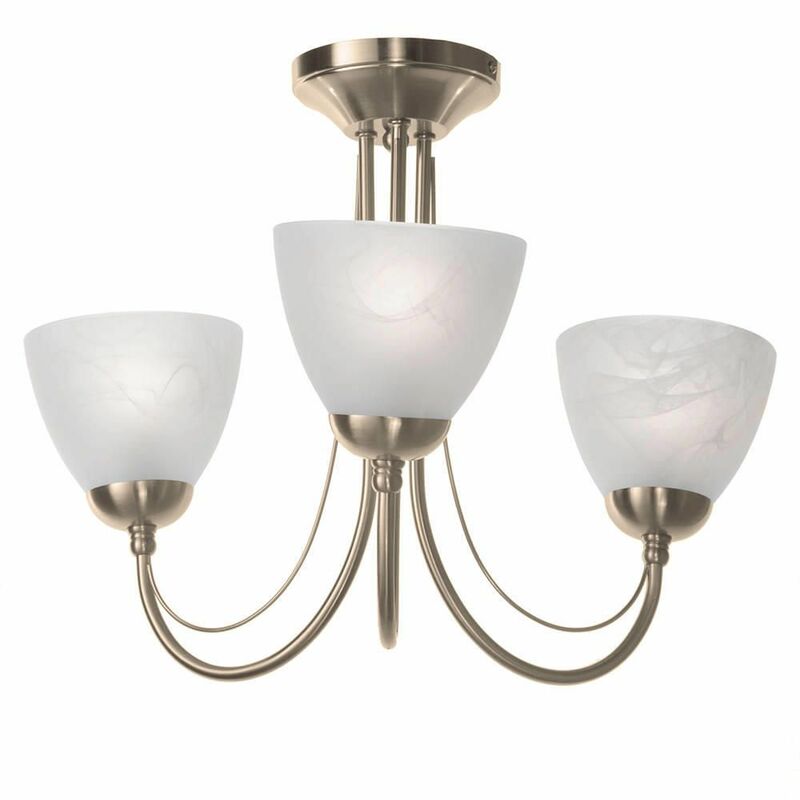 That’s really all that needs to be said about the Barcelona 3 Light Ceiling Light in Antique Brass. This light truly is perfect for you if you’re looking for an elegant method of bringing light to a room. Everything about this fitting just screams elegance; from the beautiful waves of metal which curve wonderfully to create the best possible platform for the light, to the stunning alabaster glass shades which complement the light and the metal in such a pleasing manner that you can’t help but love this fixture. 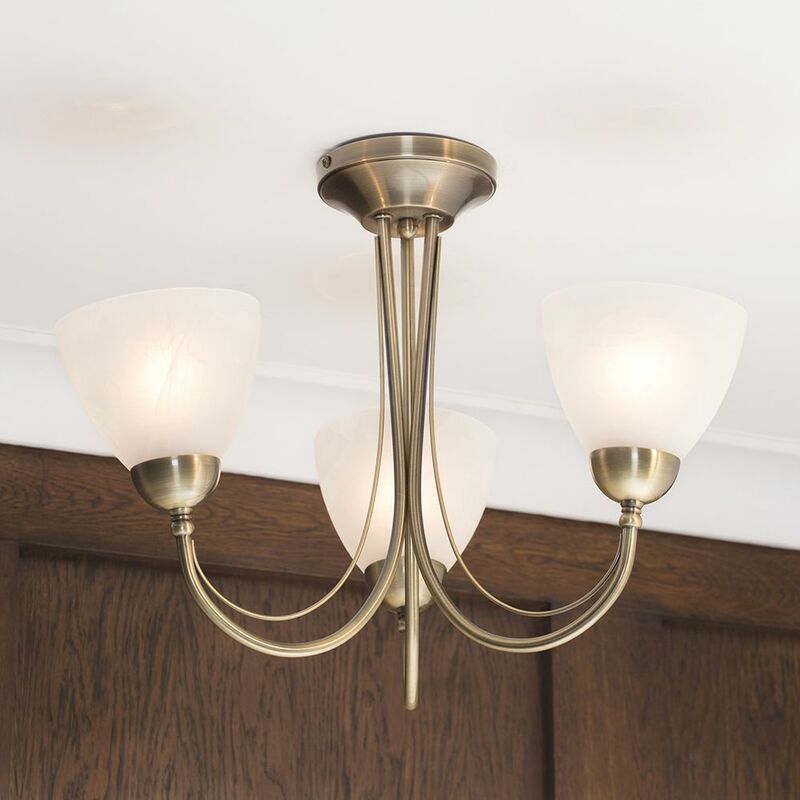 The finish also adds to the theme of elegance which runs rampant in this piece, with the antique brass effect offering a very vintage look to the fitting which would be a perfect addition to any living space. Another, more useful, feature is the flush/semi-flush design. This type of design allows for a much smaller drop height, solving any of the issues that may have come to prominence for someone who has lower ceilings in their home.